This flat braid breakaway lanyard is made from durable polypropylene material. The breakaway clasp – the number one choice by principals - releases in unsafe situations to prevent choking or injuries. 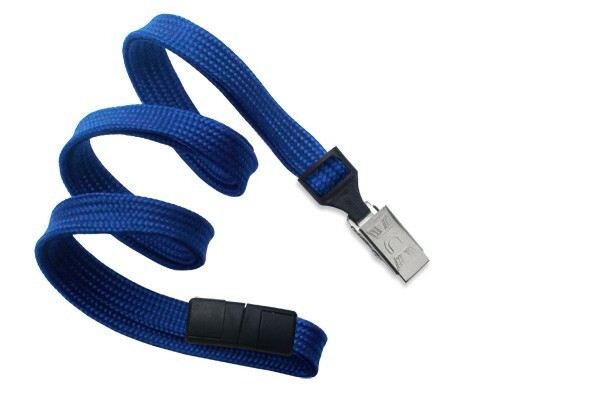 The included nickel-plated steel bulldog clip allows you to easily attach an ID or access card to the lanyard. Available in a variety of colors. I keep coming back here because of the competitive prices. Handed these out and our employees loved them. I made an order a few days ago and they arrived just in time. The break away feature ought to be the standard in lanyards. You won't get this kind of quality at this affordable price. No regrets here.